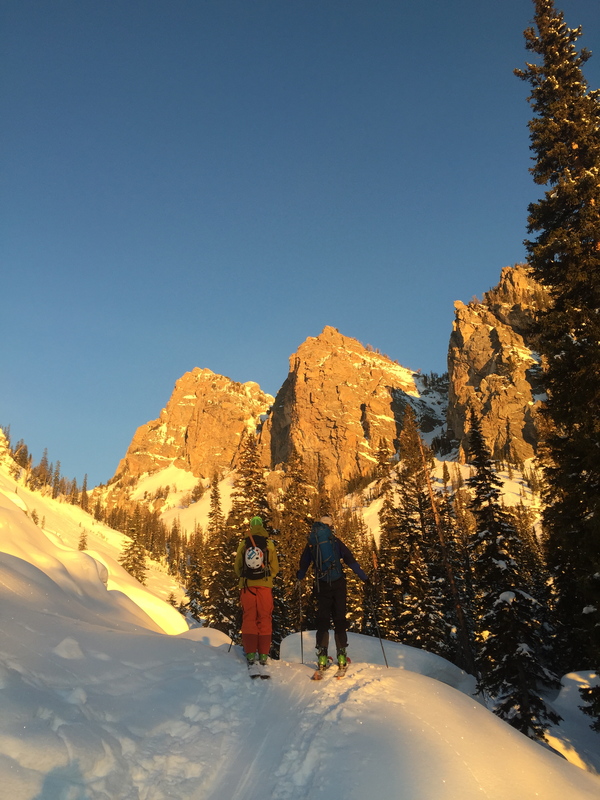 To ski the Grand Teton has always been a goal of mine. 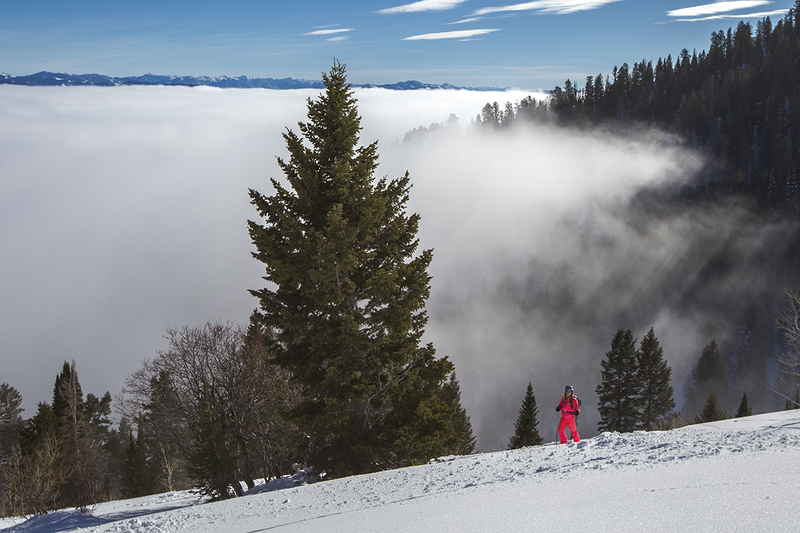 It felt like a right of passage growing up in Jackson Hole. 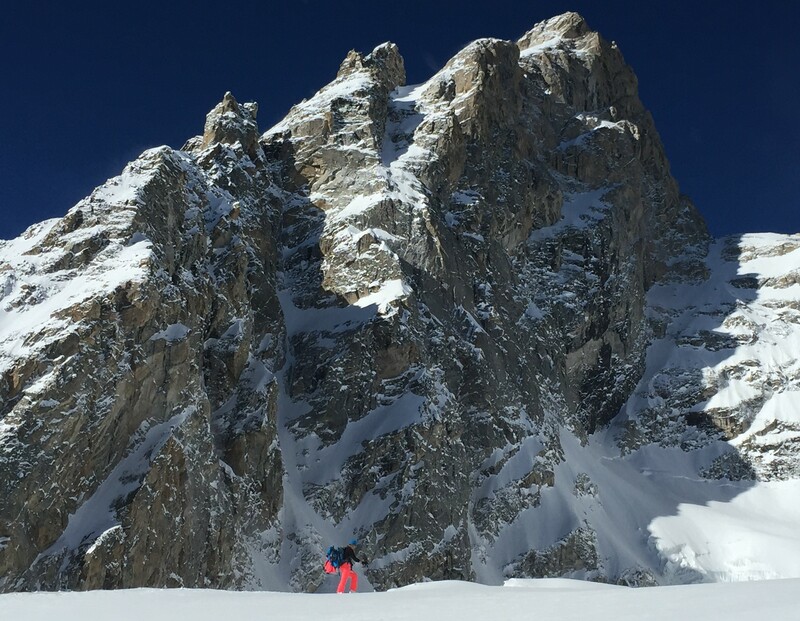 I have climbed it numerous times in the summer, but to climb and ski it in the winter is no small feat. I left the parking lot at 1am with Tanner Flanagan and Fredrik Marmsater. The snow was bullet proof as we skinned to the meadows. We had hoped to skin to the top of the Teepee Glacier, but as we started slipping and sliding at the base of the meadows we soon realized we would be boot packing. 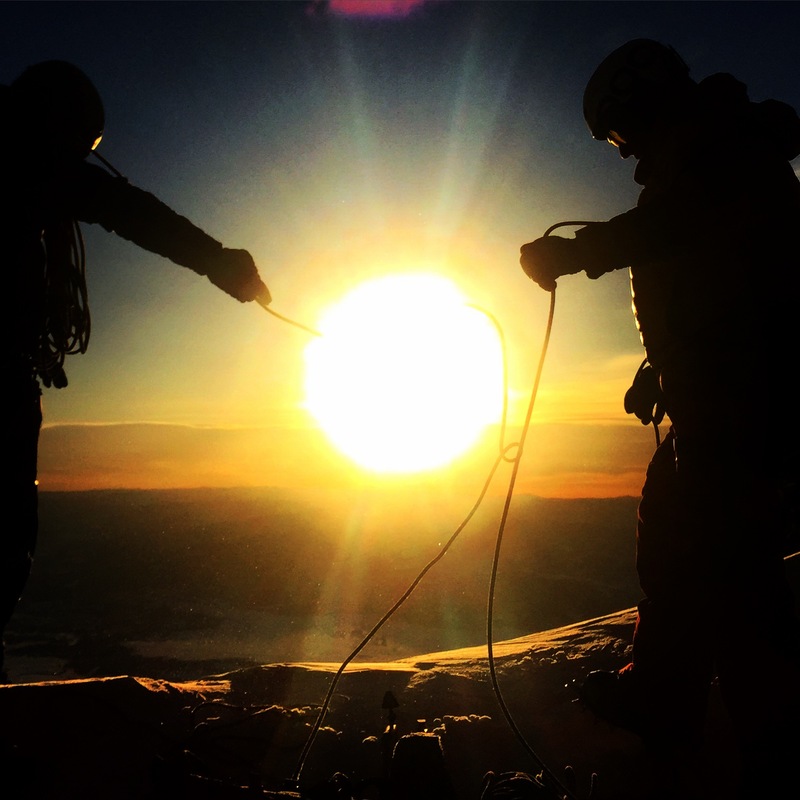 We reached the top of the Teepee Glacier just in time to watch the sunrise. It was absolutely breath-taking. We started our adventure at 8pm. Definitely a late start for an 11 mile skin to our Campsite. We arrived at camp at 1am and were sound asleep at 2am. Our intention was to be up at 6am, but when the alarm went off we decided we could use a a little more sleep. 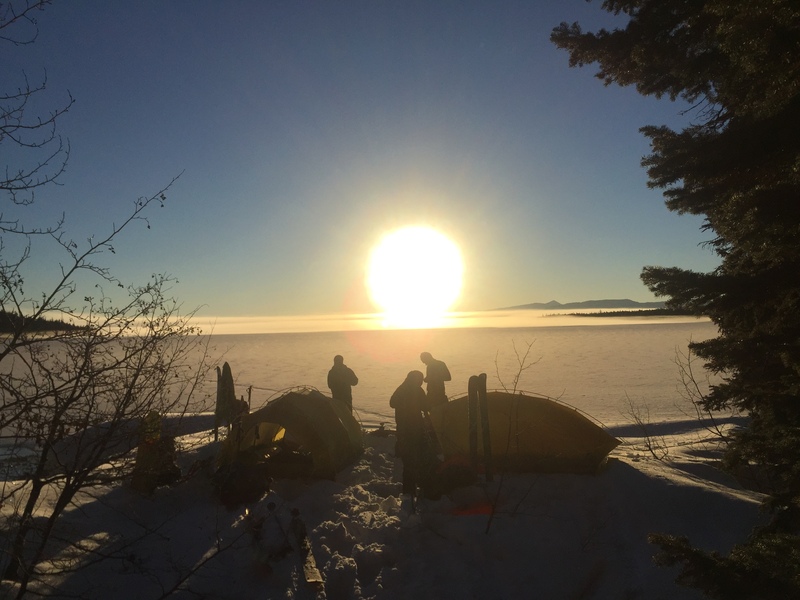 We were out of our tents just in time to catch the sunrise. We were so lucky. 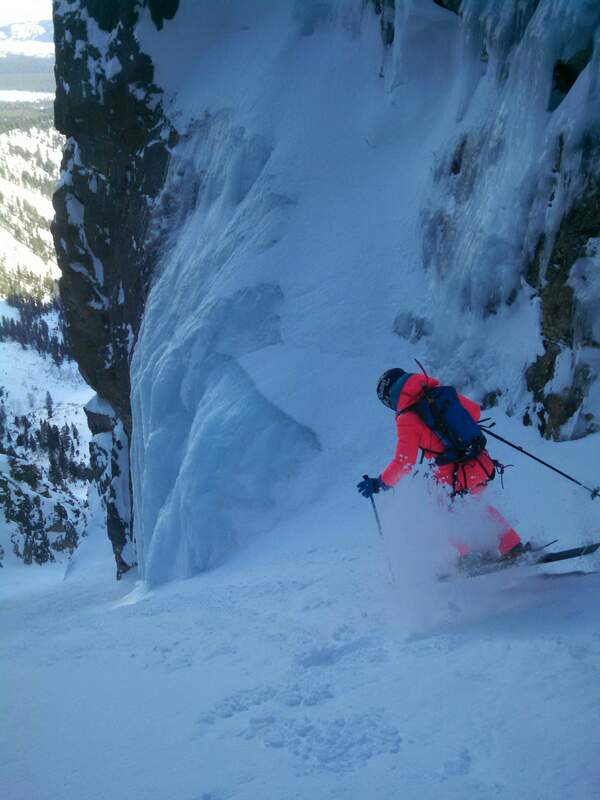 The snow was fantastic in the couloir top to bottom. 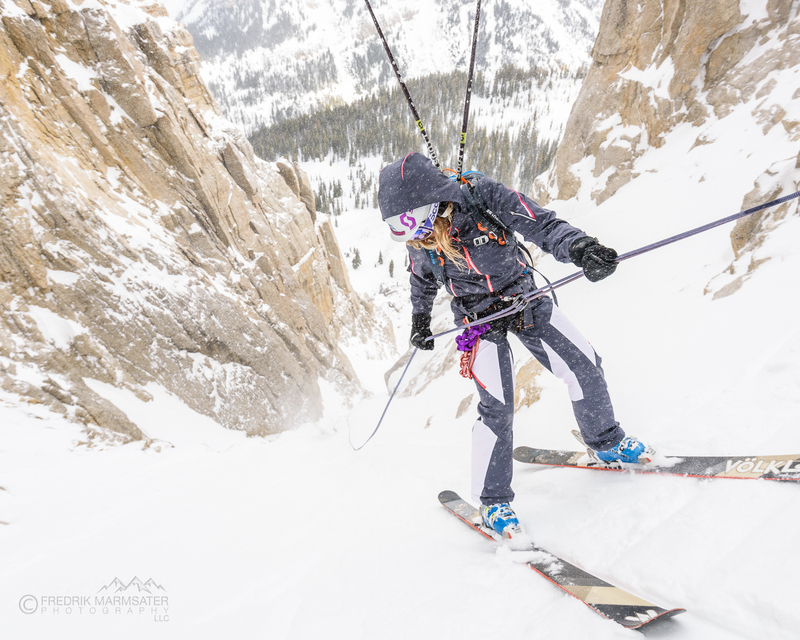 Jess McMillan ripping the Couloir. After Skinning for hours in the dark and fog, it felt wonderful to get above the inversion and see the mountains. It’s Good In Jackson Hole!